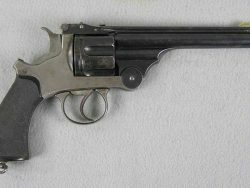 This is a 4 ½” barrel 1862 Police with a fluted cylinder. 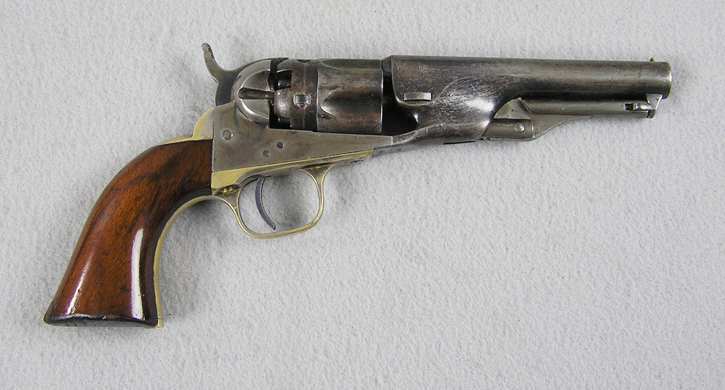 The serial number is 8451; all matching numbers and is first year production made in 1861. It retains over 65% original blue. 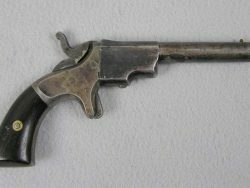 It retains 65% case color and silver on the trigger guard and back strap. It retains almost all of the safety pin length. The mechanical function is very good crisp and tight. The bore is very good bright and shiny but does have some frosting in a couple of places.